Home/Posts/Uncategorized, Youth Ministry Hacks/Incarnational youth ministry: how much time is enough? Incarnational youth ministry: how much time is enough? It’s been the buzz word of these last years: incarnational youth ministry. It’s a fancy word for a way of doing youth ministry that’s focused on spending time with young people, on being there with them, on loving them. It’s of course modeled after how we perceive Jesus did ministry, spending time with people motivated by love. Just as Christ became the incarnate Word, we should become Christ to other people (or as C.S. Lewis said it ‘little Christs’). But how do you do incarnational youth ministry, how do you manage spending time with young people, when your agenda is so full? I know I have often felt guilty because I wanted to spend more time with my youth, but wasn’t able to due to all kinds of obligations. It made me ask myself this question: how much time do you need to spend with youth anyway to be able to have impact on their lives? 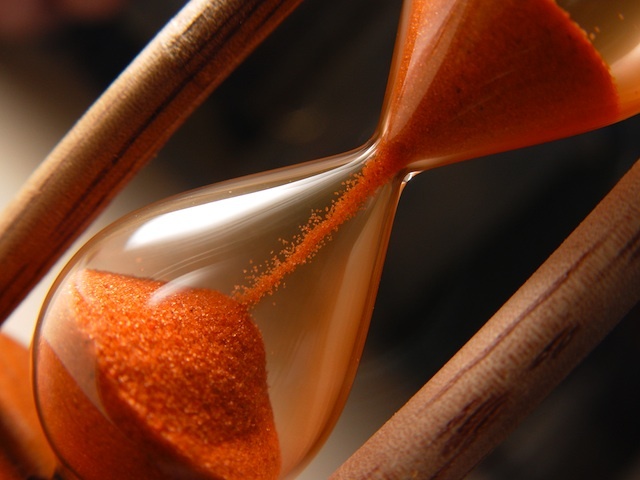 In incarnational youth ministry, how much time is enough? I heard the most refreshing answer to that question in a talk at the Youthwork Summit last weekend from Rev. dr. Steve Griffiths. He stated that Jesus wasn’t that much into incarnational ministry Himself, His style was far more of a hit-and-run ministry. Most of the people we encounter in the New Testament who had their lives changed, didn’t spend much time with Jesus at all. A lot of them only met Him once! The only people Jesus did spend a lot of time with were His disciples, and even with them it wasn’t fulltime for a long time. It’s not about the quantity of time, it’s about the quality of time. Rev Griffiths explained this by showing the two different words for time used in New Testament Greek. The first word is chronos, meaning actual time, sequential time. It’s where our word chronological comes from. But there’s a second word used for time: kairos. Kairos means ‘the appointed time in the purpose of God’. It’s the time when God acts, when what we do is linked to eternity. It’s doing what God wants you to do, at His time, so He can use it to change people’s lives for eternity. Incarnational youth ministry therefore is about spending kairos time with your young people. You can spend all the chronos time you want with them, but it won’t make a difference. It’s about that second time, about God-orchestrated appointments. A few of those will have more impact than a life time of chronos time. The big question is then how to access this time, how to make sure that we’re on God’s time and not on our own. The answer to that is all about spending time with God, growing so close to Him that you are able to hear His voice, recognize His voice and guidance and are willing to obey. Only then will you be able to recognize the divine appointments He has set up for you. Only then will you be able to spend real time with your young people and have eternal impact on their lives. Incarnational youth ministry begins with you, with your relationship with God. It’s ultimately not about how much time you send with youth, it’s about how much time you spend with God. If you look at what you’re doing in youth ministry, how much of it is in chronos time and how much in kairos time? What will you do to increase your kairos time with young people?